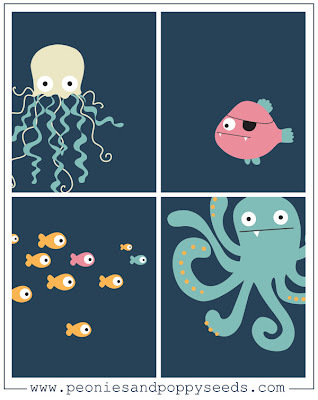 Are you preparing for an Under the Sea party? 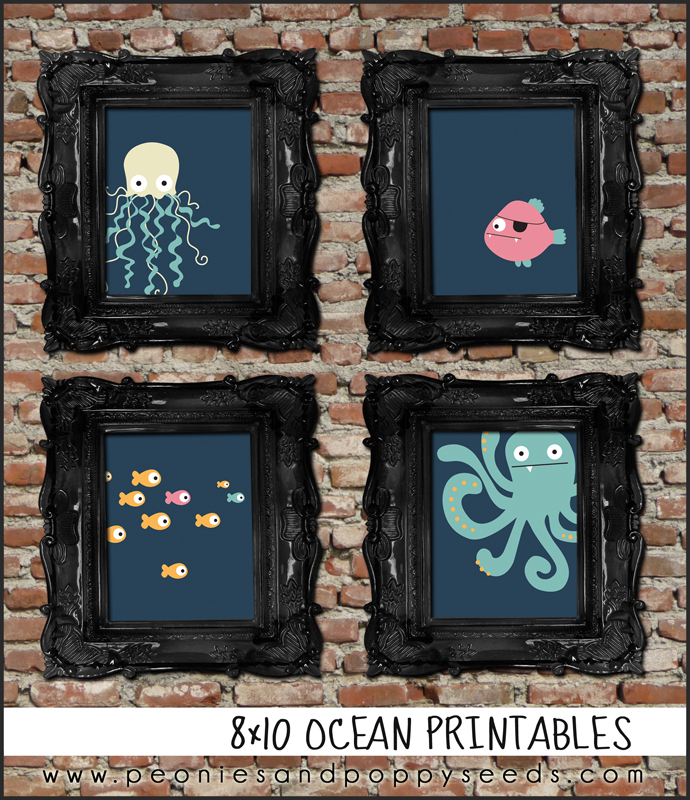 Or maybe decorating an ocean theme room? Or maybe you just like jellyfish? It doesn't really matter because these four free 8x10 printables look good just about anywhere. Just click on the image or button to download - all four prints are in one pdf document. If you like these printables we ask that you please share that opinion via facebook, twitter, pinterest, blogging, cell phone, and yelling over your back fence to the neighbor. And remember, these are free for personal use only. Thanks!